The monthly jobs report will be out on Friday and that should receive a good deal of scrutiny. 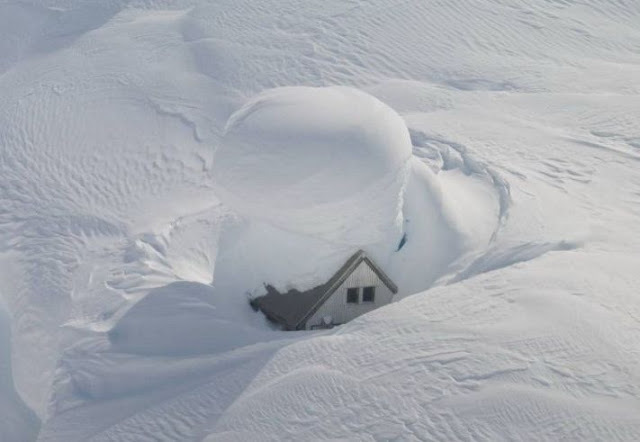 I think two big wild cards this month will be the impact that the snowstorms had on hiring (if any) and the first real uptick in census hiring. In fact, the next 3 months could be substantially impacted by census hiring. European officials seem to be moving closer toward a deal to save Greece, but the German and French governments are still asking for substantial concessions and I'm not convinced that the Greek government can win those concessions from their citizens. 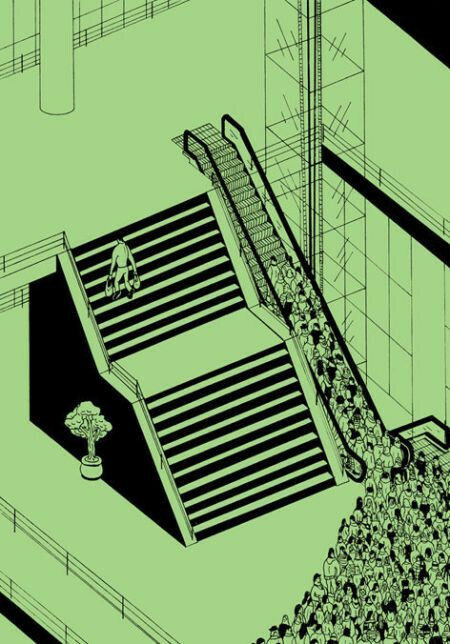 and this is meant to be humorous -- and it is -- but I bet you could take a photo that would mirror this image every day at the WTC path station. Are Apple Splits better than Banana Splits? So conveniently right after a large investment bank's trading desk when long the market, a rumor gets floated to CNBC that Apple might split their stock and the market practically erased all loses. Suddenly, Greece, job losses and falling new home sales won't matter because we can all buy more iThingy shares!!! All tech stocks have a history of splitting 1 too many times. Microsoft split 7 times from 1990 to 1999. They've split their stock once since then - 2003 - and the stock has gone nowhere for the last ten years. Intel hasn't split since 2000 and their stock is down about 25% from that level. Just when I'm about start giving Washington some credit - see yesterday's post on Start-up Visa's - word leaks that the Federal Gov't is considering prohibiting foreclosures until the mortgage has gone through the modification process (a process that has been fraught with mismanagement and mistakes). The Obama administration may expand efforts to ease the housing crisis by banning all foreclosures on home loans unless they have been screened and rejected by the government’s Home Affordable Modification Program. A home isn't guaranteed in the constitution the last time I checked. In my opinion, if you entered a contract and you can't meet your obligations under that contract, the bank has the right to seek remedies offered to it under the law. Once again we seem to be changing the rules of the game mid-stream. The markets have opened weaker this morning on another round of worries about the Greek situation. If I were Germany, I'd be having concerns right now as well. Every effort to cut spending has been met with massive demonstrations in Greece. I'm not sure if the people of Greece grasp the gravity of the situation. This sounds like the Lehman or AIG CEO's talking on CNBC the day before their collapse that "we'll be fine" -- all is not well in Europe and that should have us all on guard right now. The market was also caught off-guard by the surprising jump in initial jobless claims. The four-week moving average is back over 470k and is at it's highest level in 3 months. I found it particularly unsettling that the Labor Department went back to the "backlog of claims" well. This is what was to have allegedly sparked the spike in claims in January, but when the backlog disappeared the markets cheered the LARGEST DROP IN WEEKLY CLAIMS, blah, blah... Now apparently the backlog of claims is back this time caused by Northeast snowstorms. I don't buy those excuses, I sense that companies held onto employees into 2010 in the hopes that things would improve. Since business has not picked up for many firms they are looking to trim more jobs. All of the talk of "recovery" in the jobs market has been mostly tied to benefits expiration (the jobless suddenly disappear when they no longer receive benefits) and stimulative spending not organic economic growth. I think the markets are also a little concerned with yesterday's SEC ruling to curtail short-selling efforts by instituting a new rule - once a stock falls 10% from the prior close, you can only short a stock at a price above the best bid. So if a $10 stock falls to $9 you can't short the stock at $9 you have to short the stock at $9.01. This is designed to slow rapid declines in stock prices but ultimately it feels like the game is rigged. What if a stock goes up from $10 to $11 shouldn't we have a similar rule in place to limit the stock from shooting to the moon? If we limited purchase to being below the highest sell offer at least it would feel like the market was legitimate. By limiting downside with no upside caps, it feels like the market is a one way bet and that's not healthy for the markets. Six hours of political posturing on the TV today coupled with miserable weather in the Northeast should make this a fairly slow trading day. It's been a few years since a company has had as much buzz as Bloom Energy. I've been following their story for a few years, but there is no shortage of fuel cell companies claiming to deliver "freedom from the grid". However, don't underestimate the power of VC connections and every big boy VC is invested with this company (although none of them can actually tell you how it works) so expect to see a steady stream of news coverage for Bloom. "EBay said it has already saved $100,000 in electricity costs since its 5 boxes were installed nine months ago. It even claims that the Bloom boxes generate more power than the 3,000 solar panels at its headquarters. Google has a 400 kilowatt installation from Bloom at its Mountain View headquarters." What is not clear is if that cost savings includes the cost of the Nat Gas to run the Bloom Box. 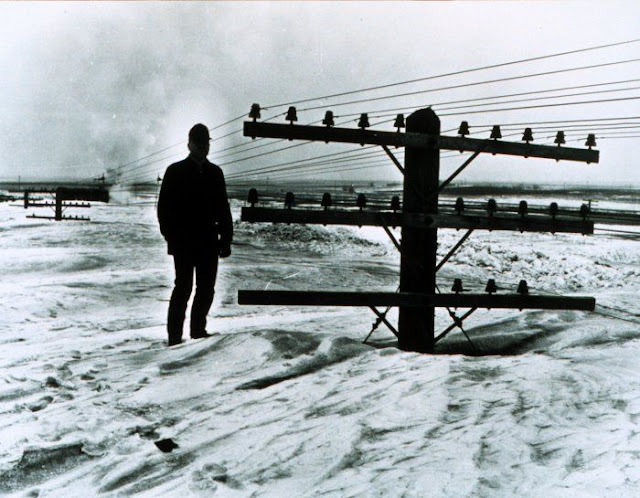 You see for all of their talk of getting you "off the grid" you still have to be on that pesky nat gas grid. The combination of green tech and dark science that no one understands has lead Silicon Valley to pour $400 million dollars into this start-up. I'm not thrilled with the cost - about $800k for commercial units, but they say costs could come down to $3k by the time the unit is ready for your house. Payback right now is close to 20 years, given an expected life of about 20-25 years that is not great. Oh, and did I mention there are companies that have been doing this for a decade? What about CO2 emissions? NO emissions? I have lots of questions to be answered before I'm ready to call Bloom Energy the next GE. However, remember very, very rich people have risked $400 million backing this thing so you're going to hear about it non-stop until they get paid via IPO or buyout. In case you haven't noticed, I tend to be a bit of skeptic and border on being a cynic when it comes to Washington. However, I think this news today of legislation introduced by Sen. Kerry and Sen. Lugar is smart, forward-thinking legislation that could help grow our economy. "This would enable immigrant entrepreneurs who are creating new companies to secure visas to come to the United States, if there is investment capital available from a sponsoring US venture capital or angel investor of at least $100,000 in an equity financing of not less than $250,000." Basically, if you're a smart Russian with the next Google sitting on your laptop, you could get a visa so you can operate your firm here rather than Russia. We need to continue to attract the world's best and brightest and this legislation would be a step toward that goal. Feel free to point out the flaws in the legislation, but I don't see any yet. Re: Commercial Real Estate - Reuters reports that the American Institute of Architects’ Architecture Billings Index decreased to 42.5 in January from 43.4 in December. Any reading below 50 indicates contraction. Commercial real estate appears to be in the early stages of becoming a dumpster fire. "Anyone who’s walked around Shanghai’s more prosperous areas (and Beijing’s as well) is well familiar with the glut of luxury stores, with Bulgari and Gucci boutiques everywhere you look. I would sometimes stand outside the shops and watch for as long as half an hour and I remember seeing the shopkeepers going to fantastic lengths to look busy. One of them kept dusting the shelves obsessively. Another kept a book (or maybe a magazine) discreetly under the counter, at an angle where she could read while keeping an eye on the front door." "The Place (a mall) is around the corner from my office, and this was my first trip back in about two months, I was shocked at what I saw. Fifty percent of the eateries in the basement were boarded up. The cheap food court, too, was gone, covered up with ugly blue boarding, making the basement especially grim and dreary. The two good restaurants there, Ganges and Master Kong Chef’s, were still thriving. The few others that remained seemed to be just hanging on. That same night I went by The Village, which seemed so cool when it first arrived and now seems so unnecessary aside from the Apple store and a couple of restaurants. Same thing as The Place: lonely clerks looking plaintively out the store windows, eyes begging you to come in and buy something. But no one does. There is simply too much stuff, too many stores, and no buyers. Do you have to be a rocket scientist to conclude this is unsustainable? I’m predicting The Place and many of its sister ghost malls, shunned by customers overwhelmed by so many malls to choose from, each selling the same crap that no one can afford nowadays, are going to experience a catastrophe." On a much smaller scale - I didn't see the story when it originally broke back in November but there is a little retail swap going on in Watertown. It looks like Michael's (small arts & crafts store) is movin' on up to the new Towne Center - home of Target, Old Navy, etc. I bet that Michael's got a sweet deal on the lease because there is a ton of brand new empty commercial space in that area. I suppose it makes sense - Michael's shoppers have more in common with Old Navy, BBBY, Target and Petco shoppers than Herb Philipson, Staples and $ Store shoppers. “I wanted them to be wholesome in character. I wanted them to be compassionate and to see life as a responsibility to give something to the world. I wanted them to have a sophisticated intellect. I wanted them to be avid readers, the kind of person who always has trouble putting a book down. Wow, imagine a world where all parents aimed to achieve these goals with their children. It's seems like it's only a matter of time before this story becomes a made for Lifetime movie - How many red flags can you spot? * Buys his wife a $200k Lamborghini and proceeds to turn it into the Barbie-mobile with pink accessories (Ding!). Ultimately, the guy is convicted of stealing over $100 million and hangs himself in jail. Ah, the good old days of 2007. "Though viewed as an unintended consequence of legislative efforts to protect post-Madoff investors in hedge funds and the like, the proposal could make most single family offices — privately owned investment-advice, financial-management and, in many cases, concierge-service providers to families with typically at least $100 million to manage more expensive and less private. More expensive, because as RIAs, single-family offices would have to undergo periodic examinations (that take between two and three weeks a crack), provide demonstrably effective disaster-recovery plans, and appoint chief compliance officers with responsibility for providing exhaustive paper trails of compliance procedures. Less private, because RIAs have to make assets under management a matter of public record, easily accessible through the SEC or comparable state-level agencies. And a main reason ultra-wealthy families establish family offices is to keep the value of their holdings from prying eyes. Estimates vary, but there are thought to be around 3,000 single-family offices in the U.S., many of them tucked away in family-owned businesses. According to several observers and wealth-industry practitioners, making U.S. single-family offices register as investment advisers could spell the entity’s demise, or trigger wholesale expatriation to friendlier jurisdictions." I find that last comment particularly interesting. Family offices can be located anywhere in today's electronic trading markets. Why subject yourself to increased scrutiny (something the ultra-wealthy abhor) when you can relocate to the Cayman Islands? "the Treasury and Labor departments are asking for public comment on "the conversion of 401(k) savings and Individual Retirement Accounts into annuities or other steady payment streams." With all of the issues on our plate, why would you even want to raise this issue? Even if you're just gathering public input, I'd bet that the Teapartiers will have "HANDS OFF MY 401k" signs for sale on the Drudge Report by Friday. There is no appetite for this kind of move right now. There are a ton of unknowns about the prospective design of a plan - would existing 401k's be grandfathered, maximum or minimum contributions, etc. I might actually get out the old quill and inkwell. PS - Sorry for the format issues - blogger gets all screwy when you insert a photo. I'll start with a little story about why I love the intertubes. While preparing a light dinner on Saturday of cod with a side of broccoli I noticed that my package of ATLANTIC Cod purchased at Sam's Club clearly stated "Product of China" on the back of the bag. Now, I'm a simple boy from a small town, but I do seem to remember from geography lessons that China does not come near the Atlantic ocean. So how can Atlantic Cod be a product of China? Well, about 2 clicks around the web and I discovered that while the fish are caught in the Barents Sea north of Russia practically all fish processing is done in China. So the fish are flash frozen at sea and sent to China for processing before being shipped back to the US or Canada. That has to be about the least "green" food product in the market. Maybe I'll have to start eating some of the fine St. Lawrence River perch that are swimming around underneath the ice. For a relatively quiet weekend there was a lot of interesting articles out there. 1. Use Twitter and Facebook and watch insurance premiums go up 10%! So this is a bit of speculation on the author's part, but they seem to imply that insurers will consider raising your homeowner's insurance premiums if you're using Twitter b/c you might be tipping off thieves to your location - ie, "At the mall" so rob my house! "I wouldn't be surprised if, as social media grow in popularity and more location-based applications come to fore, insurance providers consider these in their pricing of an individual's risk. We could see rises of up to 10pc for people who use these sites. "Criminals are becoming increasingly sophisticated in their information gathering, even using Google Earth and Streetview to plan their burglaries with military precision. Insurance providers are starting to take this into account when they are assessing claims and we may in future see insurers declining claims if they believe the customer was negligent." Citibank has been working overtime to calm everyone's fears about this mailing that appears to have gone out to customers around the country. The key phrase in this pile of legalese is that for Demand Deposit Accounts - basically checking accounts - Citibank will at their discretion require 7 days advance notice before allowing withdrawals. WHAT! Citibank has said that this only applies to customers in Texas (s@#cks to be them), but people with more patience than myself have poured over this document and there isn't anything that says it's only for residents of Texas. For the time being, I'll give Citibank the benefit of the doubt but if I had big money in Citibank I'd consider making friends with my local credit union. 3. Just a thought on the new NYS law on Carbon Monoxide detectors. There are roughly about 1.5 deaths per million residents in the US annually from carbon monoxide poisoning. You are about twice as likely to be killed by a dog and about 50% more likely to die in a freak accidental fireworks event. There are about 8 million households in NYS and most won't be able to figure out the various loopholes of the law so they will just buy a CO detector. Assuming maybe 30% of the population already has a CO detector, that leaves about 4 million people (I assume about 20% of the population would comply or won't have to buy a detector) to buy a detector with an average price of $40. I know I sound like Scrooge when I say things like this but $160 million every 4 years to save maybe 10 lives/year in NYS, seems a bit excessive. Future obligations require US pensions to chase yield and if the stock market ever takes another leg down US pensions are going to be in a world of hurt. "New York state’s pension fund is on the rebound with a double-digit rate of return through the third quarter, Comptroller Thomas DiNapoli said Thursday. The pension fund — officially the New York State Common Retirement Fund — has posted an estimated 22.3 percent rate of return through Dec. 31, 2009. That rate has increased the value of its holdings to approximately $129.4 billion." Considering that the stock market was up substantially during this period it seems reasonable that pensions should at least return double digits. The practice of just-in-time inventory revolutionized manufacturing in the late 80's. Companies worked with their suppliers to ensure adequate inventory for their factories without carrying excess inventory. Historically, people have watched for shifts in temporary hiring to signal changes in the labor market that might lead to increased permanent hiring. However, I've been arguing that "this time it's different" and temporary hiring might simply be signally a shift in hiring patterns b/c we're all temps now. 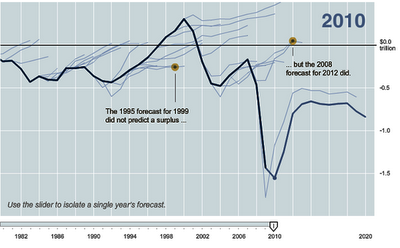 Well, now it seems that the economists are starting to get on the same page. I think temporary hiring is less useful a signal than it used to be," says John Silvia, chief economist at Wells Fargo. "Companies aren't testing the waters by turning to temporary firms. They just want part-time workers." Companies "don't want to hire permanent workers and then have to turn around and get rid of them six months later," he says. Hmm, maybe the sun won't rise tomorrow? I only pose the question because the impossible seemed to happen last year when Google actually shrank. Google’s headcount actually shrunk in 2009 for the first time since the company has been public (and most likely for the first time ever, given Google’s growth spurt). In the filing, the company disclosed that it had 19,835 employees at the end of 2009, compared with 20,222 at the end of 2008. That’s a modest drop of just under 2%, but a drop all the same. Stocks roared back to life on Tuesday after the President's day holiday on the back of Merck's cost cutting and oil nearing $80 again. We're just about done with earnings at this point so the markets direction will largely depend on sentiment and outside influences (geopolitical, etc). To get a sense of the growing pension time bomb that is facing everyone in the US consider the case of Illinois. In the last 11 years their shortfall (amount by which their promises exceed their assets) has grown from $14 billion to $89 billion. "On Jan. 7 the state sold $3.5 billion of "pension obligation notes." In simple English, the state borrowed money to finance the state's contribution to its five retirement systems." When you couple pension promises that real market returns you get a lot of red ink. Illinois is but one state facing this type of crisis. Either we are going to be forced to bailout the pensions in 2011 or states will have to tell retirees "Ooopsie, you see we promised you X but we can only pay you 70% of X. Now, if you'll let us buy Credit Default Swaps on Spain maybe we can get you back to 80%. Come on, every good gambler knows you have to double down when you're losing". I'll assume that you are now wiping the coffee off of your screen that you spit out when you read that. Thankfully, that's the price for the low-end model, the Turbo would be about 40% more. In the same newspaper roughly 25% of the paper (14 of 55 total pages) were dedicated to sheriff's foreclosure notices! Yikes. Finally, while cruising through my old stomping grounds I saw the biggest house I've ever seen. It had to be 30,000 sq ft. It was about 70% done and already listed. Sweet. I'm stuck in the new snowbelt - the mid-Atlantic states - for the next couple of days, but I read this quote today and it eloquently sums up the state of our union. "There's a fundamental disconnect between the level of benefits that people want the government to provide, particularly for older Americans, and the amount of resources that people want to send to Washington to pay for those benefits. To make the fiscal policies sustainable will require some resolution of that fundamental disconnect." Greece was saved! Until it wasn't. Germany has told everyone that will listen that they are afraid of the consequences of bailing out Greece. "Germany is stepping totally on the brakes on financial assistance," said a senior EU diplomat. "On legal grounds, on constitutional grounds and on principle." Another senior diplomat said of the Germans: "They're not waving their chequebooks." Commercial Real Estate - the Congressional Oversight Panel which tracks the progress of the TARP program projects that commercial real estate losses threaten nearly 3,000 mid-sized and small banks and may severely compromise their ability to make loans. Initial Jobless Claims - There was much rejoicing as initial jobless claims fell by over 40,000 from last week. However, as I noted previously, there was an artificial spike in jobless claims over the past 4 weeks as claims worked through the system following the holidays. Now that this has worked through the system we are back around where claims were 4 weeks ago. The White House also announced that they expect the economy to create 95,000 jobs per month. My only comment would be that the US economy needs to create 125,000 jobs per month just to keep up with population growth. Anything short of that number will result in higher unemployment rates. the origin of Valentine's Day goes back to the ancient Roman celebration of Lupercalia, held on Feb. 15, celebrated with a giant feast. It also included the pairing of young women and men. The name 'Valentine's Day' dates back to the 5th century when Pope Gelasius I created the holiday in remembrance of the Christian martyr St. Valentine who was executed on Feb. 14, 270 A.D. In the 1700s, Americans began to exchange Valentine's. It wasn't until the 1840s when a Massachusetts' man named Esther Howland began selling the nations first Valentine's Day cards, which would lead to the creation of the Valentine's Day industry and societal stereotype's about the holiday. That seems about right -- we're all forced to buy gifts because of an idea from a guy named Esther. It sounds like France and Germany sound like they are moving forward with a plan to rescue Greece. I'd be a little concerned that if you open up the bailout window Spain, Ireland, Portugal, etc are going to come knocking next. Someone pointed out today that Greece is only about the 34th largest economy in the world, so maybe we're all getting a little too worked up over a small part global GDP. We also should note that California - which would be the 8th largest economy in the world - is in a world of hurt right now. That might be the big bailout of 2010 (more likely 2011 after the mid-term elections) but it's too early to say. Lots of weird fluctuations in the month rail traffic data, but the net result is that rail traffic was down roughly 1% vs Jan of 2009 which was pretty much the bottom of the recession. It's worth noting that excluding coal the 2010 shipments were up 11%. However, many leading indicators for future construction activity -- Forest Products (down 27%) and crushed stone (down 17%) -- remain extremely weak relative to last year. That begs the question, was last year really the bottom? I don't find it particularly reassuring to read the government's list of fastest growing industries for employment over the next decade. Healthcare, education, administration, food service, government, retail, etc. Wow - those sound like some cutting edge 21st century jobs. When I read this story I had to double check that it wasn't some comedy central joke or onion article. "Credit specialists at Citi are considering launching the first derivatives intended to pay out in the event of a financial crisis." Ugh. The markets surged back another 1% this morning on the assumption that the EU is going to bail out Greece. Apparently, in this game of chicken the EU blinked. Nothing is confirmed so we'll watch things today carefully. The tea leaf readers are calling for a little pop in the markets here followed by 15% correction in the next couple of months. I don't know how they make that determination (its makes their charts nicely symmetrical though) but they have been driving the markets so it's worth watching. I read this report and shouted at my computer screen "YES! THAT'S WHAT I'VE BEEN SAYING!" (sorry for the caps lock outburst). The National Federation of Independent Business Index of Small Business Optimism improved slightly in January to 89.3, 1.3 points above December's reading. But optimism has clearly stalled in spite of the improvements in the economy in the second half of 2009. The quarterly Index readings have been below 90 for 7 quarters, indicative of the severity and pervasiveness of this recession. "Small business owners entered 2010 the same way they left 2009, depressed," said William Dunkelberg, NFIB chief economist. "The biggest problem continues to be a shortage of customers." Despite all of our efforts to "get banks lending" blah, blah, blah, the real problem is a lack of customers! No one (other than the government) is buying. Like I've said, I won't put ads up on the blog b/c I think you are a little too sophisticated to pepper you with "Mortgage rates hit record lows!" and "Who's looking for you on Facebook?" ads. Thanks - we now return you to your regular programing. Like I said the Dow breaking 10k isn't a meaningful indicator, but it caused most media outlets to focus on the markets again. The markets are again within 2% of key support levels. Much of today's action seems to be focused on weaker economies that are teetering - Greece, Portugal and Spain. These countries might not be in much trouble, but the market thinks they are and that's all that matters right now. There is great irony in the fact that PBS is talking about Spain's wonderful high-speed train system right now while the country crashes and burns under a weight of debt. "U.S. prime jumbo loan performance continued to weaken in January as serious delinquencies rose for the 32nd consecutive month, according to Fitch Ratings in the latest edition of Performance Metrics. Overall, prime jumbo RMBS 60+ days delinquencies rose to 9.6% for January (up from 9.2% for December 2009)." To put a little color around these numbers - prime borrowers were considered the best risk for banks. They have stellar credit ratings and strong income to support their borrowings. Prime jumbos are loans above $417k to the best borrowers. So almost 10% of large loans to the best borrowers are behind are their payments. This is a shocking trend. Did you get a 25% raise this year? I'm paraphrasing the Timewarner vs. Fox ads to point out that propane prices have exploded here in Upstate NY again. According to NYSERDA propane prices have gone up 26% vs. the same time a year ago. 02/01/2010 $3.24 vs $2.57 last year up 26%! Understanding the way most propane operators deliver their fuel expect them to be topping off all of their "at market" customers this week. 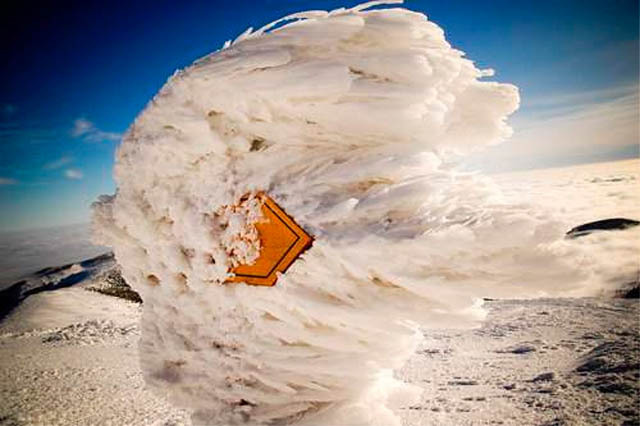 Many customers don't feel this pinch because they lock in pricing for the winter during the summer. However, some people -- influential bloggers included -- chose to avoid a lock-in this year expecting propane and oil prices to remain depressed due to weak economic prospects. The last time propane was in this range, oil was trading around $140/barrel. Today oil is trading at about $70 (propane is a by-product of crude oil refining and nat gas processing so the price of oil should be a major determinant in the price of propane). The cold weather is a factor but how can propane be roughly where it was when oil was twice as high (a similar question - when oil was $140 gas was $4.20 but today oil is $70 and gas is $3.00 - how does that math work? Shouldn't gas be about $2.10?). Speaking of raises - Anthem Blue Cross raises premiums up to 39% - this is for individual buyers of insurance, but if individuals are getting hit, I imagine it will only be a matter of time before the group insurance rates get slammed (especially as companies trim payrolls that means fewer participants so rates must increase). "There aren't any other parts of our society where people have no regard for inflation rate and increase their prices this much. I can't imagine anything in the world that's going up 39 percent," said Josh Libresco, 54, of San Rafael, as he grappled with the news that his family premium will go from $858 per month to $1,192 - and that's with a $5,000 deductible." 1) An honest discussion of end of life care - we need to give families alternatives for pain management and stop needlessly testing 85 year olds for possible hip replacement. 2) An honest discussion on health care coverage for lifestyle choices. If you chose to go to Elephant Buffet in Vegas for the $3.99 All you can eat breakfast every day you should pay a huge premium. If you smoke, you should pay a huge premium. If you drink excessively you should pay a huge premium. The days of living a life free of consequences are in the rear view mirror. The health care "reform" being pushed isn't going to reform anything, in my opinion. We have about 10 years to fix health care and Social Security. Under 30 you can retire at 72. Health care is a more difficult fix and honestly given the paralysis griping Washington, I'm not confident that we will fix it. Our government at all levels seems comfortable kicking the can down the road for someone else to deal with the problem (see Oregon below). However, this is how I'd fix the system. A national tax (yes, I said the dreaded "T" word) on every citizen that pays for your national health card. If you'd like you can still pay for your own insurance, but that's up to you and it's going to cost your a fortune. Your annual tax would be based on a score given by a panel of doctors that review your chart - Is your BMI too high, you pay 35% more. Is your lung capacity impaired by smoking, you pay 50% more. Is your liver function impaired by all of those $5 eye openers you bought at Jeremy's Ale House, you pay 35% more. We'd have to put 80-90% of the nations doctors on the government's payroll and pay them like doctors around the world - the premium US doctors receive is obscene. The remaining doctors can still work for the small percentage of the population that will pay a premium for premium treatment -- Four Season's Hospitals will pop-up. This would likely be a self-funding program and it would ultimately control costs. After your first monster National Health Bill (deducted from your weekly paycheck like Social Security) you might decide to join a gym and stop smoking. Again, this would NEVER happen because it smells of SOCIALISM and GOVERNMENT INTERFERENCE, but at least it's an idea. Right now the Democrats are trying to tweak a failing health care system and the Republicans are just acting like a stubborn 2 year old shouting "No! No! No!" to every proposal. Oregon decides the sun will come out tomorrow and the tooth fairy will help fund their pension plan through the sale of excess unicorns. "Under current rate-setting rules, public agencies and the taxpayers that support them face a 170 percent spike in biennial pension contributions starting in 2011 -- a collective $1.5 billion budget hit -- to start digging out of the pension fund's actuarial hole. The market plunge lopped $17 billion off the value of the Oregon Public Employee Retirement Fund. Despite a strong recovery last year, the $51 billion fund still has a shortfall of approximately $14 billion, with 75 cents in assets for every $1 in liabilities." The depressing reality in Mercer's models is how little the increased contributions under either the current or revised policy actually budge the system's funded status. 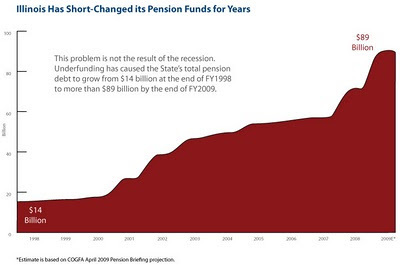 Even if the pension fund's investments earn 8 percent annually for the next decade, the system's funded status only reaches the 80 percent level in 2019. If that's the case, employers will face further rate increases in 2013 and 2015. "Even if market consistently deliver strong returns, we're moving to a higher level of contributions for the next decade," said PERS board chairman James Dalton, a former Tektronix executive. "It's going to take a long time to recover. It's a different environment." If, on the other hand, returns are closer to the system's average over the last 10 years -- 4.5 percent -- the actuarial deficit will grow precipitously. I've seen this coming for years. Public pensions overestimate what they will earn through their investments and then differ the hard choice - either tell pension plan participants that their payout is going down or tell taxpayers that their contribution is going up. Oregon chose the "kick the can" strategy by delaying any pain and crossing their fingers for brighter days. The market was struggling to stay above key support levels for much of the afternoon on Friday when someone at JPMorgan flipped the switch at 2:33 and said "Let the buying commence!". It was remarkably convenient that the market rallied all the way back to finish above 10,000. Otherwise we might have had a weekend of talk shows talking about the Dow Dipping under 10,000 (btw - Dow 10,000 is just a round number. We gone above and below it like 30 times since it was first broken so it's value as a market indicator is negligible). Greece continues to teeter in Europe and might continue to dominate the headlines in the upcoming week. "EMPLOYERS are refusing to hire Generation Y workers because they lack a work ethic and spend too much time talking to friends in work hours. "Employers come to us about Gen Y, saying they're looking for a staff member but they don't want anyone in that 20s age bracket because they find they don't understand common courtesy in the workplace," Kristy-Lee Johnston, director of Footprint Recruitment told The Courier-Mail." PS - My pregame 42-17 Saints Super Bowl prediction was fairly accurate. I think the house cleaned up in Vegas this weekend. There are so many revisions in this report it might take all day for the market to sift through the data. Unemployment rate fell to 9.7% from 10%. On the surface the unemployment rate fell and the data shows a jump in the number of employed workers. I suspect that this might be due to seasonal adjustments that are no longer relevant, but I'll have to dig through the report a bit. Also, remember I've warned previously that we'd eventually hit a point where unemployed persons use up all of their benefits and fall off of the unemployment statistics. This gives the illusion of someone returning to the workforce when in reality they're situation is worse because they no longer receive any benefits. Finally, there were major revisions to December's data that should concern anyone trying read too much into this data. I'll have a more detailed breakdown soon. In November there were 138.4 million employed persons in the US and 10% unemployment rate. In January, the number of employed persons had fallen to 138.3 million but the unemployment rate has FALLEN to 9.7%. Hmmm. It's mostly due to people exiting the workforce. It's going to take a true student of the BLS reports to decipher all of the changes in this month's report. I'll report back when I get some feedback from people that are experts in the field. Temporary Help was up another 52,000 jobs in January. Again historically, this has been a signal of an improving economic outlook as companies hire to temps before hiring permenant workers. I disagree with that theory right now as I see companies shifting to "just-in-time employment". Hiring temps when needed and letting them go soon after. 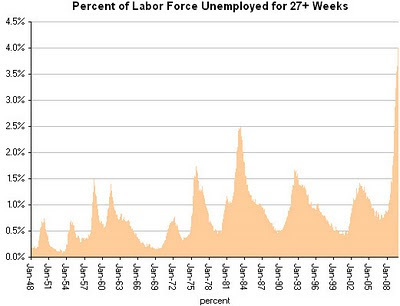 Long-term unemployed now stands at 4.1%. These are people unemployed for more than 26 weeks and this number is at it's highest level ever recorded (since records began in 1948). The non-seasonally adjusted numbers were pretty grim (10.4% unemployment) and while I'd normally say we should ignore the non-seasonal data this is one month to at least be aware of the data. The BLS asks us to believe that RETAIL and Temporary Help sectors added the most jobs in January. Hmm, do stores normally boost hiring AFTER Christmas? The market rallied earlier this week on virtually no news - some vague hints at a "sustainable" economic recovery were enough to power the market forward. However, today felt like 2008 when the market couldn't get out of it's own way. The market only has about a 2% cushion for the last line in the sand for the technicians - 1038 on the S&P 500. Below that things could get very interesting. 1) Initial jobless claims came in higher than expected. This helped to boost the 4 week moving average and indicates the job market remains weak. This also seems to indicate that many companies that postponed layoffs in December have resumed their cost cutting in January. This fits with what I've heard, but it's hasn't' been showing up in all of the data. 3) Worries about Friday's jobs report. The ADP data should foreshadow a pretty strong number on Friday, but it may be overshadowed by the Birth/Death adjustment that will vaporize 800,000 jobs overnight. Obviously, tomorrow's number will dominate the news flow tomorrow. FYI - there is a small probability of anything happening over the weekend, but there's plenty of buzz on the internet about possible events in the next few weeks that might make gas very expensive. Follow-up to "The Folly of Long-Range Forecasts"
The NY Times put together a great chart that shows the actual budget deficits - the dark blue line - relative to the projected deficits 10 years out from each fiscal year - the light blue lines. The one thing that jumps off the page is the obviously optimistic bias that the budget office always has regardless of who is in power, Republican or Democrat. Everyone of the "projected" deficit lines is sharply upward sloping" indicating a forecast that we will have smaller deficits, however, the actual deficits have been large and growing slightly every year (with the obvious exceptions being 2000 and 2009. To the White House's credit they were not overly optimistic in the out years of their forecast - in fact even 10 years down the road they are still predicting deficits that will be larger than the previous record deficit in 2008. The point is that these long-range forecasts are extremely volatile and one should put very little faith in their being accurate representations of our economic health 10 years from now. Particularly when it comes to pending changes in credit card legislation. The Federal government got it write when they enacted the Credit Card act of 2009 which is designed to protect consumers from unusual changes in interest rates without cause or warning. This legislation is set to go into effect in about 3 weeks. Apparently about a month ago Citibank started sending out letters to cardholders to start gaming the system. Let's say a consumer had an existing Citi credit card with a rate of 8.1% APR. The letter sent by Citibank raises the APR to 29.99% as of 1/31/10 (conveniently 3 weeks before the new legislation kicks in). However, if the borrower if pays the minimum balance on time, they will get a “credit” of 70% of the interest amount, bringing the APR down to 8.99%. So if you are a borrower, you might think "well that's not that bad. In effect, my rate is only going up 0.9%". But and this is the problem, if you miss a minimum payment then you are not eligible to receive the CREDIT. Now, you're 8.99% rate jumps up to 29.99%. This is exactly what this legislation was designed to avoid, but through some clever maneuvering Citi can still act like it is 2008. This would be a great opportunity for some Jr. Senator from an unnamed northern state to demonstrate that he or she is not in the pocket of Wall Street like some other senators. I'm hopeful that the regulators and Congress will see what a blatant end-around the Credit Card Act this is. 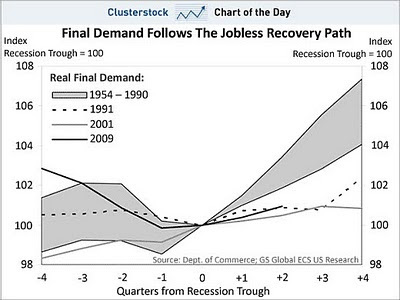 Note how the last 3 recessions - 1991, 2001, and 2009 - have all led to very tepid recoveries. What's particularly surprising is that the 2009/2010 "recovery" has been injected with the finest steroids known to mankind - mountains of government stimulus - and yet it still shows a very weak upswing. Will our economy pull an Eric Gagne without the performance enhancing drugs (for the reader that isn't a baseball fan - Eric Gagne went from the best pitcher in baseball in 2003 to pitching for the Quebec Capitales after going off PED's). The ADP data was slightly better than expected - shedding just 22,000 jobs in January. The BLS data tends to vary widely from the ADP data but this should result in another good jobs report on Friday (that will likely be heavy on phantom Birth/Death jobs). This report is a divergence from what I'm hearing from companies around the US. Many CFOs have taken a wait and see approach, but as 2010 looks like more of the same -- weak revenues, cost cutting -- they are lining up their next round of layoffs for late February and March. I don't know how to mesh these two different data points at this time. Quote of the day "Everyone wants an exception for their group and everyone thinks what they do is necessary." This is why people pour into the streets to protest higher taxes or healthcare reform but talk about closing a prison, shutting a fire station, or reducing state ticketing agents.... oops, I mean state police and the same people will scream even louder. Finally, a little love for you the loyal readers.... if you click through to newsflashr you'll see a list of leading business blogs on the web. It's not a totally inclusive list because some big blogs are missing (like zerohedge and calculated risk). However, after starting 2009 down around the bottom of this list, our little NNY blog has slowly worked its way up to #41! The biggest blogs can fund themselves through ads but I don't like that model so we're still happily ad free here at Grindstone Financial. Thanks for reading and pass along the good news. Headlines SCREAM Ford Reports 25% Sales Increase in Jan! This is a factually true statement but is it representative of a resurgent American consumer and revitalized Detroit? Perhaps not. It's in the Ford press release - however, it appears to have been edited out of many of the press releases that I saw published around the web - but Ford's retail sales in January actually FELL 5% in January. That's relative to a very weak market in January 2009, so to record further declines in 2010 is particularly troubling at the retail level. So on balance, it's better than having sales collapse as they did a year ago (when fleet sales were down 40%) but I think it's jumping to conclusions to assume that because the government replenished it's supply of Ford Escapes that we're back to happy times. Since the Federal Budget is first and foremost on everyone's mind it's worthwhile to consider for a moment just how crazy it is to place any value on economic forecasts out 10 years down the road. For example, in 2000 when we were generating an operating surplus as a nation, our forecast was for surpluses for the next decade and possible retirement of a large chunk of our outstanding debt by 2010. How did that work out? The dotcom bubble burst, 9/11, 2 wars, housing bubble/burst, bailouts, etc and the annual deficit ballooned to $1.4 TRILLION in 2009 and is projected to grow to $1.6 trillion in 2010. Consider for a moment that in 2000 the total debt of our nation stood at $5.5 trillion. We'll add almost $3 trillion to our debt in just the last 2 years. Yesterday we received not only the budget projection for 2010 but the long-range forecasts for unemployment, GDP growth and budget deficits. Unemployment (which wasn't going to exceed 8%) is expected to peak at 10% and slowly but steadily fall back below 8% in 2013. GDP is expected to sharply grow from 2.7% this year to 3.8%-4.3% in the next few years (I guess there no double dippers in White House Budget office --- unless you count Peter Orszag!! - Google his name to find out the latest gossip). I am encouraged by the President's efforts to create a binding budget commission to address the deficits and debt because our current political system is too paralyzed to make the hard decisions necessary to rehab our economy. If the US economy were an automaker, the Republicans would want to on eliminate all models except the black 4 door sedan - cutting revenues 80% is a good thing they'll tell you. On the other hand, the Democrats would want to buy 15 Superbowl ads to tout their new line of boat-cars. In other words as committee member Alice Rivlin put it "Republicans won't talk about taxes and Democrats won't talk about entitlement cuts." I think Ms. Rivlin may have tipped her hand a bit as well when talking about what the committee may focus upon when she said "The sensible approach is for both parties to work together on a package of long-term reductions in spending growth and increases in revenue, phased in slowly so it wont derail recovery or endanger those already at or near retirement." Since the recommendations from the committee won't be voted on until after the mid-term elections I think there could be some interesting suggestions in there. If I were a betting man, I wager that a new Social Security retirement age of 70+ is likely to be the key recommendation. "The share of borrowers who are falling seriously behind on loans backed by the Federal Housing Administration jumped by more than a third in the past year. The FHA projects that it will pay out claims to lenders on one out of every four loans made in 2007 -- the worst rate in at least three decades. The claim rate should be nearly the same on the vastly larger volume of loans made in 2008." Keep in mind that in 2007 roughly 4% of all homes in the US were purchased using FHA loans. In 2009 that number had grown to 18.7%. Source. "Interstates 78, 80, 195, 287 and 295 are likely targets to become toll roads, transportation experts predict in response to a report submitted to Gov. Chris Christie that suggests that the state explore placing tolls on certain highways." A relatively benign tax case has suddenly drawn the attention of many around the world as Swiss banking giant UBS appears ready to draw a line in the sand on the subject of turning over account holder names to the IRS. The court ruled that the disclosure contravened Swiss bank secrecy law. The government has now concluded that it can hand over only about 250 files." The case is worth watching to see who will blink first - the US or UBS. Given UBS's global reach it's hard to imagine the US truly pushing UBS over the edge on this issue. The US has shown that banks that are Too Big To Fail get special treatment. UBS knows this little secret. I believe that UBS is so deeply entwined in the global commercial real estate market that their failure is not an option. The personal income and spending data were mixed - income was slightly better due to a social security payment and spending a little lower as consumers continue to save - but the market has viewed the data as positive. Separately, the Jan ISM manufacturing was almost 3 pts above estimates at 58.4 and should be viewed positively. Two things with this data though - it measures US manufacturing output (which is sort of like measuring our production of typewriters -- it's not the driver of our economy) and it only measures the direction of change not the actual change in business.